Syntax and vocabulary are overwhelming constraints—the rules that run us. Language is using us to talk—we think we’re using the language, but language is doing the thinking, we’re its slavish agents. Translation is the paradigm, the exemplar of all writing… It is translation that demonstrates most vividly the yearning for transformation that underlies every act involving speech, that supremely human gift. When Niki and I moved to Paris, there was also the challenge of Paris, an extremely daunting city. What I wanted to do and what I needed to do was something entirely different, and through reading Roussel I learned that I could do what I wanted all on my own and that I didn’t have to rely on what had actually happened in my somewhat limited life and reading. What I said about John was that he liberated me from my anxieties about writing in a correct, acceptable way. Well, the great thing for me about poetry is that in good poems the dislocation of words, that is to say, the distance between what they say they’re saying and what they are actually saying is at its greatest. Well, my relationship to America at the time I left was very limited. Well, I had this little notion – I started writing when I was eleven, writing poetry. I was passionately addicted to it; it was my great refuge through adolescence. My next project is to get back to that. Actually, to learn how to write poetry. I’m not kidding. My mother could never understand why I didn’t write a thriller, which I’ve finally done. My Life in CIA is the first time that I’ve ever written a story in my own name. My idea was to go to Vienna to study conducting and perhaps play in an orchestra first, so I thought before I got to Vienna I could do with a little training in Paris. My dream, I remember, when I went to boarding school, was to have a study all my own, a little nook someplace where nobody could get at me – nobody, like the football coach. Music had been my first love among the arts, and I was fascinated by it, as I still am. It’s true, I had an extremely delicious life, but that was my life at home, and perhaps because I was only a child, or for whatever reasons, I found the company of others, especially other boys, quite terrifying and upsetting. It has always been something I could do, and it may seem odd that in my case I seem to create an interesting narrative and frustrate the reader’s opportunities to follow it at every step. I’d been brought up on the Upper East Side in a WASP society, which was death on crutches. I was stationed in Norfolk, Virginia, for a while, about which the less said the better, and then I was in the Mediterranean, about which the more said the better. I was immediately smitten with an attraction to this culture, not in the sense of high culture but of the basic way people behaved towards one another. I thought Cheever was magnificent and that if I could write like him that would be the best I could do. And then I realized that what I really wanted to write had nothing to do with what he was doing. 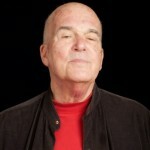 Harry Mathews was born in New York City, New York, USA. He is an American novelist, poet, author and essayist. He earned a B.A. degree in music in 1952. He has written several novels include: The Conversions, Tlooth, The Sinking of the Odradek Stadium, Cigarettes, and The journalist. He has written several books include: The Planisphere(poem), Trial Impressions(poem), Armenian Papers(poem), The Orchard: A Remembrance of Georges Perec(memoir), My Life in CIA: A Chronicle Of 1973(false memoir), The Way Home(collection), Immeasureable Distances(essays), The Case of the Persevering Maltese(essays) and Singular pleasures.